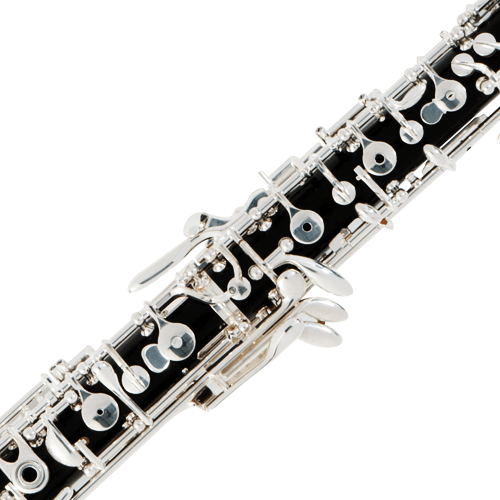 One of the original Fox Professional oboes, the Model 450 offers advancing players a professional option with a plastic top joint, to avoid cracking, that is paired with a grenadilla lower joint and bell. This oboe utilizes Fox's original bore and tone hole design and has standard full conservatory keywork. It is the perfect choice for schools and doublers who need a reliable instrument with a great sound and low maintenance.